A series of mysterious murders calls for the release of a forgotten criminal from the prison that the mafia boss sees as a return of a son and also, as a warning to the unknown enemy. The newly released person is warmly welcomed into the Haveli amidst much merrymaking and soon he is assigned an impossible task. The story goes on to trail the investigation and actions that are to follow such investigations by this protégé. Who is this protégé? Who dared to attack a dominant regional power and how and why these attacks were planned? Such questions are addressed and become a major part of the book. The book’s title and the cover art basically symbolises a bloody affair as well as the upward movement of a mere pawn to the position of a mighty player, a dark horse defeating and replacing a King. Although the cover art tries to provide a hint towards the subject matter within, it is not impressive enough for me. The title is accompanied by the phrase, “The Game Begins”, referring to the start of a chapter, that is, the first in a series that has few others to follow after it. 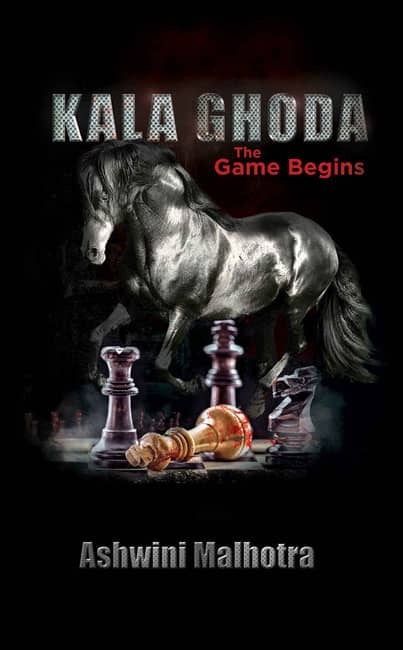 The blurb of Kala Ghoda: The Game Begins has described the plot in a similar line as the cover art. It talks about a relationship between a mentor and his disciple and how a person from a paltry background succeeds in achieving a powerful spot in a bloody business. Having around 320 pages, this mystery thriller has a fast-paced narration as events unfolded one after the other, ending with a drastic change in the hierarchy. I won’t say that the culmination of this thrilling drama was unforeseen as I had witnessed similar tones on the mafia drama showcased in Hindi film industry, where the newcomers challenge those in power. In regards to the language used in Kala Ghoda: The Game Begins, it is simplistic in nature and there is a bit of Hindi in parts of the conversation between characters, that is, while most of the book is in English, there are also frequent use of Hindi terminology, vocabulary or construction to create an effect and portray a genuine sentiment in the conversations. I didn’t find any interesting twists to the characters in the Mafia. There was the shrewd leader of the gang, a loyal second in command, a rebellious son and an enemy wearing the mask of a close friend. As one often comes across similar settings in books and movies there is a need for a different approach in characterisation or presentation, the lack of which snatches away the enthusiasm towards the plotline. I liked the personality of Iqbal Mallick because of his determined and calculated approach towards any life situation. Also, the author was able to create appropriate sensation that matched the scenes unfolding within the book. 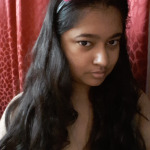 Would I recommend Kala Ghoda? I liked the overall performance in the book and believe that readers interested in similar premise may read this thriller and enjoy what the author has to offer. Can’t wait to read it? Buy your copy of Kala Ghoda using the link below. I have just finished reading this book, for me it was like watching a full film. I could totally imagine this becoming a movie. The narration style is very catchy.